On stage 7 (use password AHKONAMI to go there directly), there is a hidden entrance to a sound stage where you can play the music and sound effects of the game. The hidden door to the sound stage is in a "pit" on the top left side of the screen. You need to jump once on the bottom of the pit to make a small pyramid appear. Jump again and the pyramid will turn into a door. 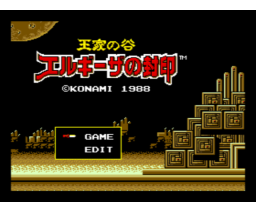 On stage 20 (use password BEKONAMI to go there directly), there is a hidden entrance to a slide puzzle game. It is located on the lower room of this stage. 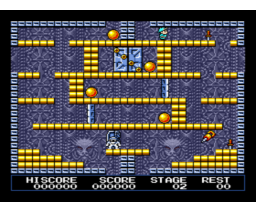 On the second level of this stage, you will see two red vertical columns in the background. Go and stand just left of the left column and jump. A pyramid will show. Jump again to open it so you can enter the hidden puzzle stage. 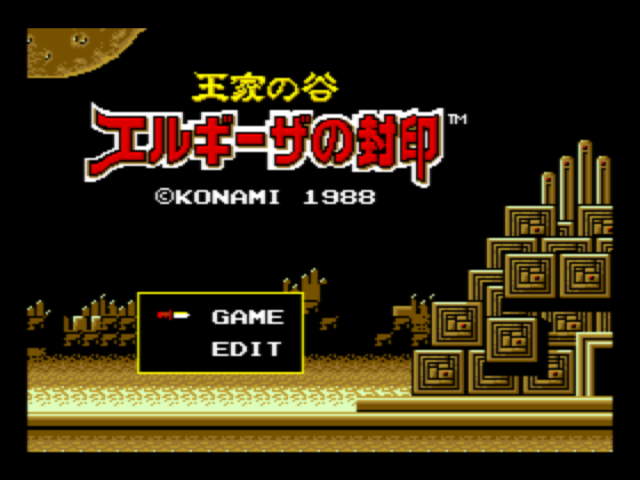 The game will then show the "SECRET COMMAND" screen. Note: when using openMSX, ignore the key numbering and just keep the "[" or "@" key pressed depending on the emulated MSX type. 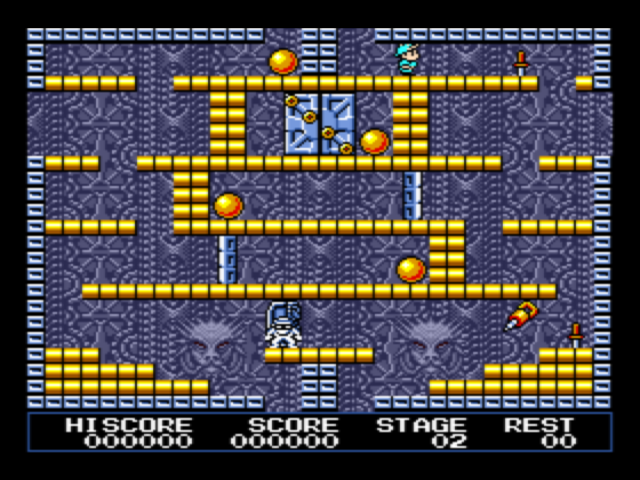 On a MSX Turbo R, the game can be started in R800 (turbo) mode by starting the computer while keeping SHIFT pressed. The diskdrive will however get disabled by doing this.